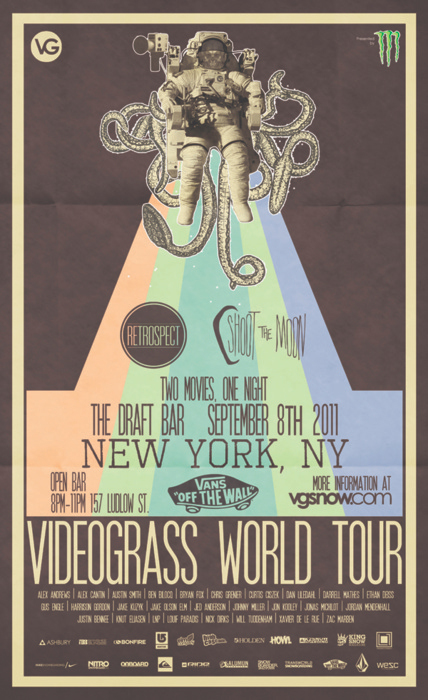 Come check out the Videograss World Premiere of their two new movies, “Retrospect” and “Shoot the Moon”. The party is at The Draft Bar, (which has a T.V. everywhere you look) so there is no chance that you can miss either of these flicks. Darrell Mathes, filmmaker Joe Carlino and many other of the films’ riders will be there, so bring your camera to get that new profile picture. VG Retrospect Introduction Video from VIDEOGRASS on Vimeo.